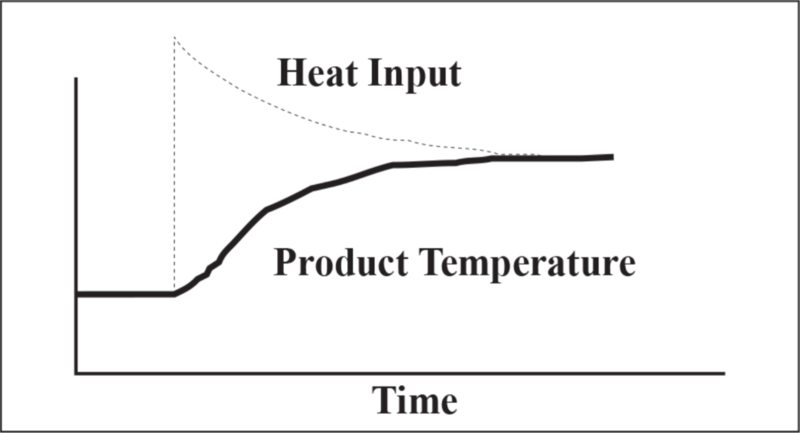 Some readjustment of the controller parameters is required because of differences in sensor response times (an IRt/c is much faster) and time required to heat the product compared to the original sensor (slower). After installing the IRt/c and calibrating the controller reading using a Microscanner D-Series (see Tech Note #1), initiate the self-tuning cycle of the controller and check to see that the control is stable and accurate. If it will not self tune properly, manually adjust the control coefficients to achieve stable control. Because the product temperature is likely to change temperature more slowly than the original sensor, start with slowly increasing the “D” of the PID coefficients.